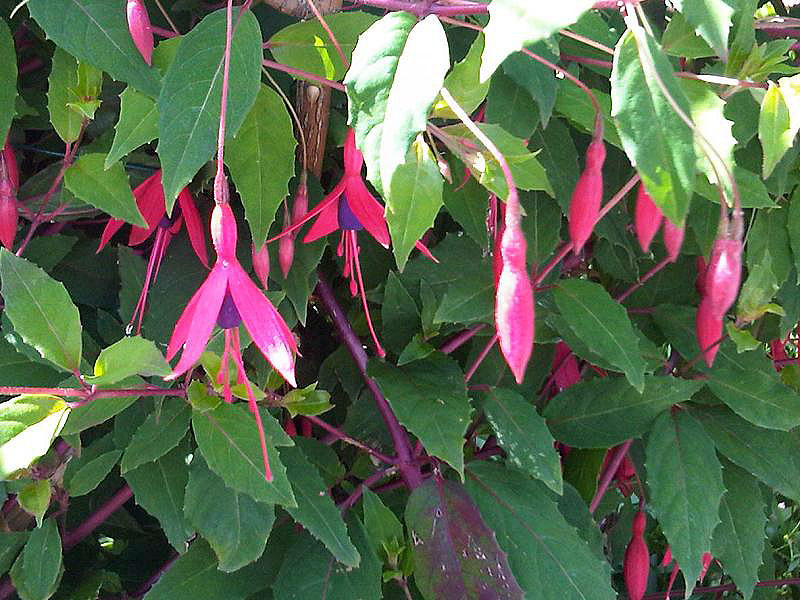 Hardy Fuchsias can be used as hedging or in the shrub border, their flowers are similar in shape to the half-hardy varieties, though usually smaller. 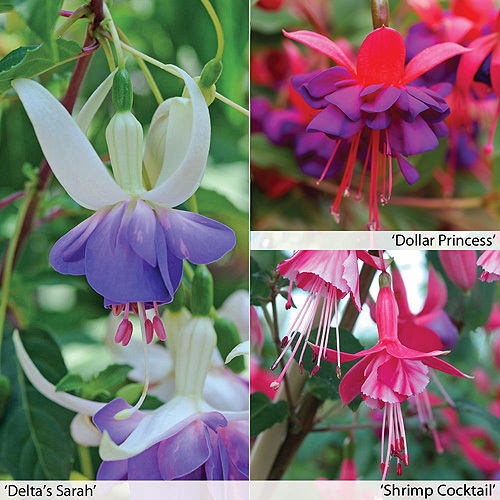 Fuchsias can be grown in sun or semi-shade. They need moisture, the leaves are quite thin and soft and can be burnt by too much direct sunshine. Height and spread: up to 3m x 3m (10ft x 10ft) but very variable by variety and typically plants are half this size when mature. Pruning: Usually requires minimal pruning if not grown as a hedge, cut back after flowering or by autumn at the latest. Responds to renovation cut whole plant or 1 shoot in 3 back to 30cm, 12" of ground in spring. Just how do you spell this name!? 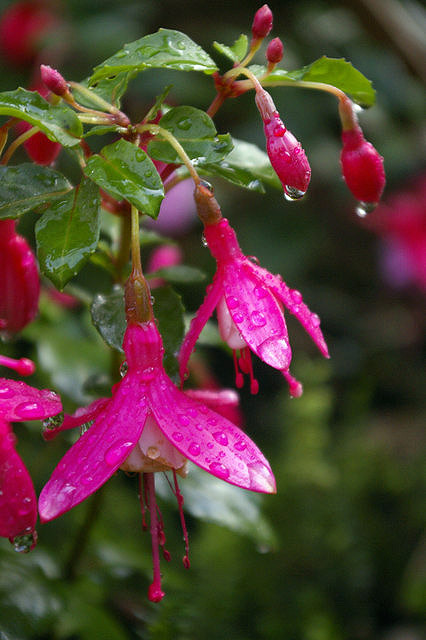 This genus of plants is named after the botanist Leonhart Fuchs, so adding "ia" for Fuchsia makes it more Latin-like. Other similar examples are Joseph Banks and Banksia and Louis Antoine de Bougainville and Bougainvillea. 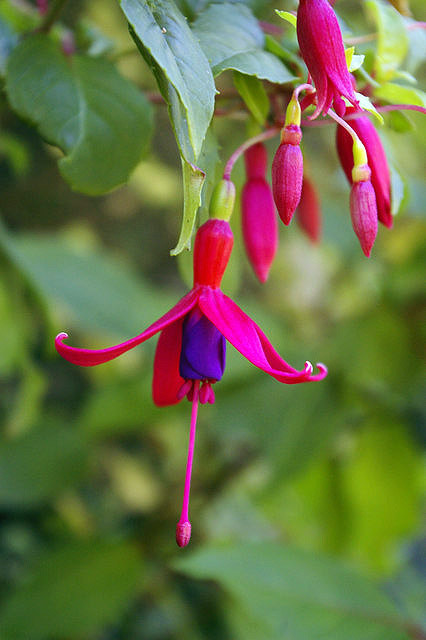 Q. I have just bought the new climbing fuchsia Lady Boothby and would be pleased if you could tell me if and when I need to cut it back. Many thanks. A. Cut stems back by about a third in the autumn after flowering has ended, you can renovate it in the spring after a few years when it has established well by cutting some stems (1 in 3) back to 6-12" above ground level. 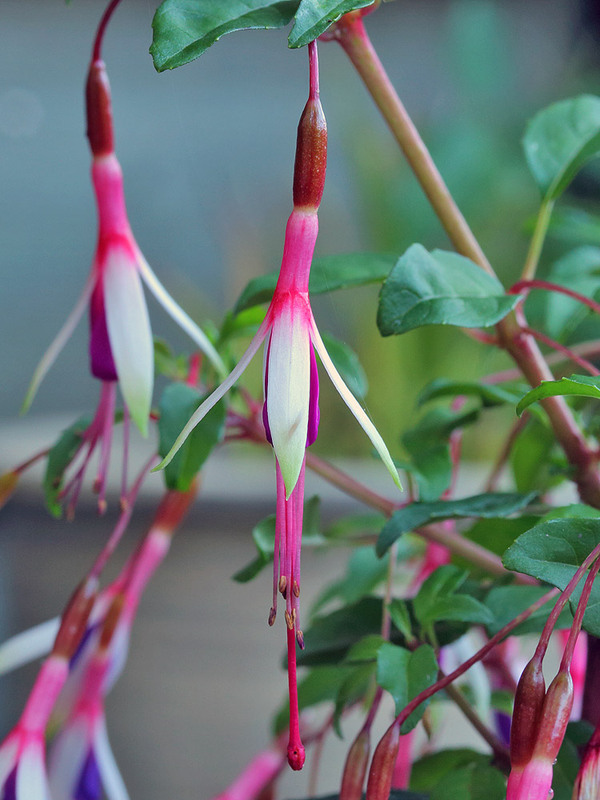 Lady Boothby is a very hardy plant so can be left outdoors all year round. 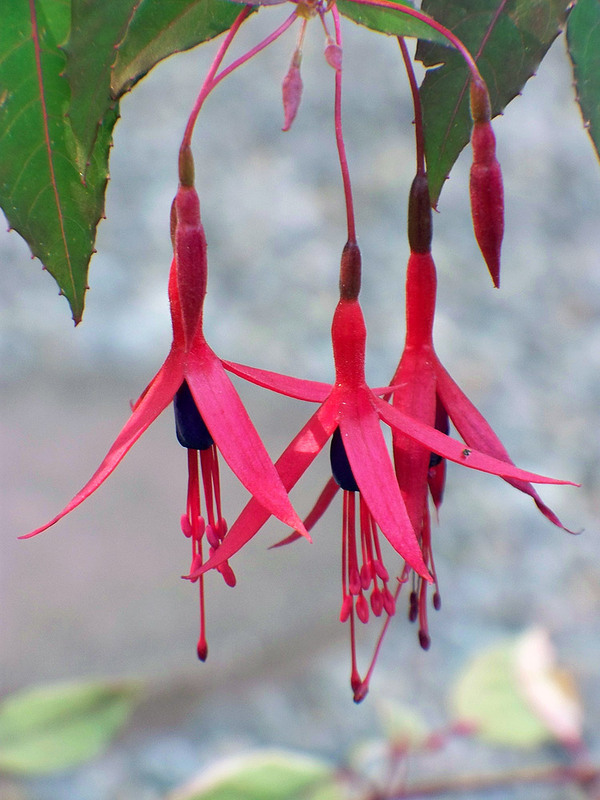 It is the world's only climbing Fuchsia and can grow as high as 5m. Photo credits: (numbering left to right top to bottom) 1-Christine Matthews - Creative Commons Attribution 2.0 license. / 2-Christine Matthews1 - Creative Commons Attribution 2.0 license. / 3-Dominicus Johannes Bergsma - Creative Commons Attribution 3.0 Unported license. / 4-Emoke Denes - Creative Commons Attribution 2.0 license. 5 / 5-Frank Wales - Creative Commons Attribution 2.0 license.